Dr Kristi Heesch is passionate about encouraging more people to cycle for transport, while gaining health benefits and reducing the city’s carbon emissions. 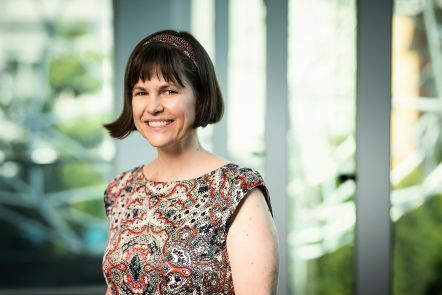 Her research aims to predict cycling behaviour and how infrastructure such as new bikeways will increase the number of people cycling, the number of trips they make and the distances travelled by bike. We promote healthy lifestyles and disease prevention using strategies based on insights gained about health-related behaviours, particularly physical activity and diet. We focus on determinants of these behaviours, health outcomes and optimal survivorship. In line with Australian Government Science and Research Priorities - Health (2015), researchers in this program address a range of individual and population-level determinants to promote both physical and mental well-being. This includes the environment in which we live, because health and behaviours of individuals, groups and communities are determined to a large degree by the social, economic, cultural, historical, political and environmental contexts. Collectively, the factors are known as the social determinants of health and they are as important in influencing health and wellbeing across the lifespan as biological and genetic factors. effective technologies for individuals to manage their own health care: innovative mobile apps, online resources and other technologies for encouraging adoption and maintenance of healthier lifestyles. conducted evaluations for Department of Transport and Main Roads. Evaluation of 1m road rule led to the Queensland rule being adopted into law. Informed the department of perceptions of road users to inform policy. Made a submission to inform new Queensland cycling strategy. worked with the design industry for improved, effective sun protective design for built and natural landscapes in areas where Australians live, work, play and learn. provided a submission to the Health and Ambulance Services Committee Inquiry into establishing a Queensland Health Promotion Commission. a 5-year action plan and online portal for sun protective design tools for apparel and shade for skin cancer prevention. provided evidence on the clinical and cost-effectiveness of Exercise Referral Schemes (UK). Submitted to the National Institute for Health and Case Excellence (NICE), which updated the guidelines for Exercise Referral Schemes in 2014 based on the provided evidence. designed and developed a paediatric iPad app for educating children to learn about radiotherapy treatment, using game-like interactions. Developing a community-based health promotion program for regional and rural Queensland communities to respond to the Real Health needs.